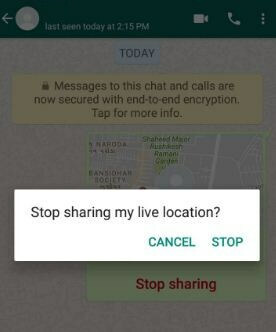 WhatsApp introduce new live location feature for their users. Using this WhatsApp live location, you can share your live location to your friends or family member on WhatsApp. 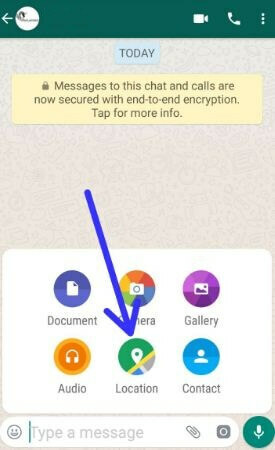 In this tutorial, I will show you step by step guide to share live location on WhatsApp android devices. 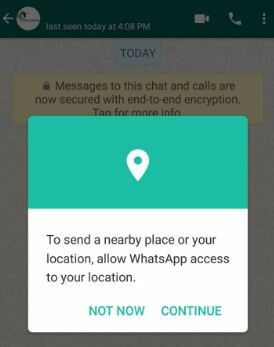 This WhatsApp live location sharing feature is available for both android and iOS users. It will allow to share real time location which helpful when you track someone for any place. Also share live location in individual chats and group chats. In group chat, multiple people easily share their live location at the same time. Follow below given step by step guide to share live location on WhatsApp android phone. First of all make sure your device has latest version of WhatsApp. Let see how to use WhatsApp live location android phone. 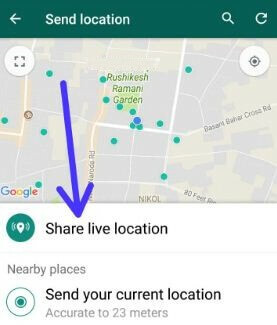 If first time use WhatsApp live location sharing feature, it will ask for access your location permission in your android device. Make sure turn on GPS in your android devices. By default set 1 hour for share location on WhatsApp android devices. Now sharing WhatsApp live location to your friends or family member. Step 3: Tap on stop. 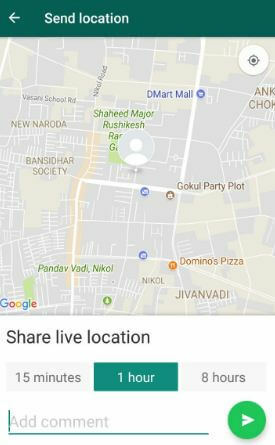 You can see “live location ending” on share WhatsApp live location message. And that’s it. Did you find above tutorial helpful to share live location on WhatsApp android phone? If you have any kind of problem, tell us in below comment box. We will respond as soon as possible. Stay connected with us for latest android tips and tricks.